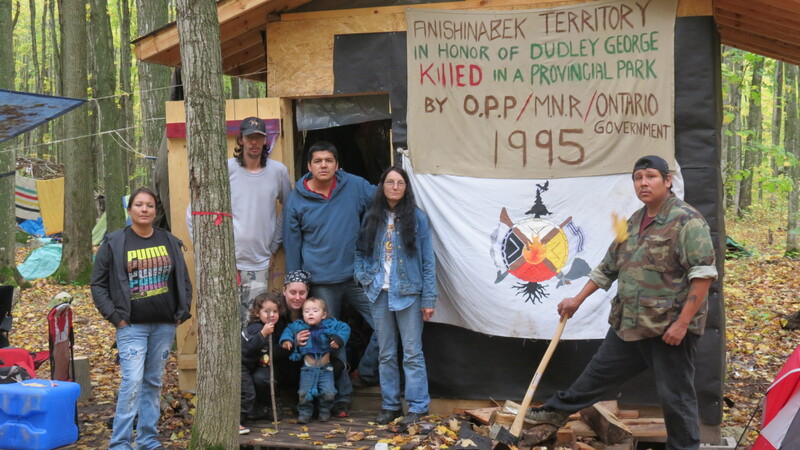 TINY TOWNSHIP: A reclamation of Awenda Provincial Park is in its 19th month where organizers have formed a grassroots collaborative where neighbouring Springwater Provincial Park has also been occupied by members of Beausoleil First Nation. “We began as a result of the illegal surrenders of our Inherit Rights and Traditional Territories along with the policies and laws enforced upon our people where the Chippewa Tri Council and Canada are in breach of the 1764 Niagara Covenant Chain Belt.” explains Johnny Hawke spokesperson for the Camp. The 1764 Niagara Covenant Chain Belt is a fundamental law of Canada which is an agreement between 24 Indigenous Nations and the Crown that permits the Crowns presence within Indigenous territories founded on Peace, Non-Interference and Co-existence. First Nations leaders and the Crown gathered to strengthen this Relationship in January 2012. The Chippewa Tri Council of Beausoleil, Rama and Georgina Island First Nations who accepted a $308 Million Land Claim Settlement for 10,000 acres of the Coldwater Narrows Reserve last year is what ignited the actions of the Reclamations Organizers. The Chippewa Tri Council are also signatories of the 1923 Williams Treaty where they surrendered 13 million acres and allegedly extinguished their hunting, fishing and harvesting rights within their traditional territory. Canada’s Aboriginal Affairs Website claims The 1785 Collins Treaty was an agreement where the Chippewa’s of Lakes Huron and Simcoe allowed a military passage of the Crown through their Territory. Lands were to be given back after war efforts but were not. A Settlement was achieved by the CTC and the Crown for $500,000 in 1998. A statement from the Beausoleil Band says the actions of the Camp organizers are not representative of the Band and that they are acting on their own. ” Our title to the lands are influential for our sovereignty and protecting the environment but Canada’s Band Council’s are extinguishing our rights and title to the lands more and more each day. We are organizing at these Camps to break free of these Band Council’s in a reemergence of our own Anishinabek Governance and Laws.” explains Giibwanisi, another of the Camps spokespersons. 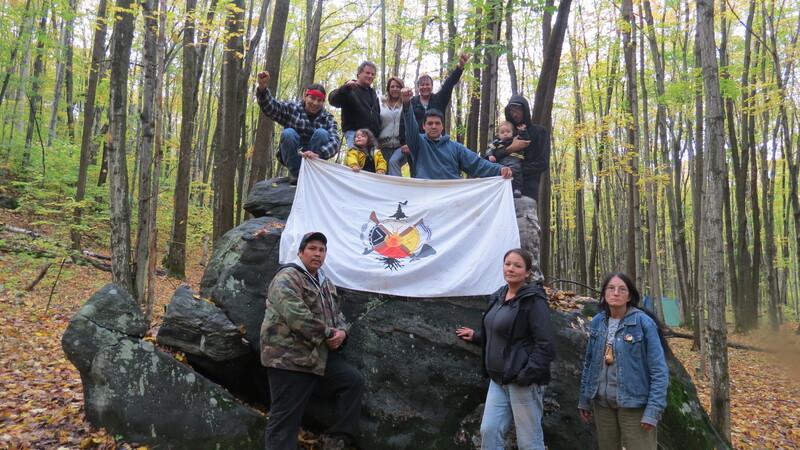 The Camp which is located in Awenda Provincial Park is also on one of five traditional embassy’s known as Council Rock which is interwoven in the intertribal treaty between the Anishinabek and Haudenasaunee says the two men. These Reclamation Camps are a growing initiative of the Organizers Collaborative called ACTION an acronym for Anishinabek Confederacy To Invoke our Nationhood. The Men are also citing Supreme Court Cases R vs Sundown and Meshake which allow acknowledge activities within Provincial Parks. The Ministry of Natural Resources have been attempting to create a dialogue to shut down these camps where authorities are closely monitoring.